Now you can have all the positive attributes of a food truck (adventure, deliciousness, speed?) without the inconvenience of having to actual go to a food truck. Here’s some examples I’ve seen recently where an individual restaurant is named like a food truck but is definitely not a food truck. I like to try and remind people that we are actually a restaurant and not a food truck. We named it Slicetruck because we started with a pizza truck and just couldn’t think of a new name for the store. You should try naming a pizza place. Very difficult to find something no one is already using and real easy to fall into the lame trap of throwing some meaningless Italian name into it or a “papa” or “mama” into the name. In 2009 we launched our very first truck in New Jersey…So far we’ve opened stores, kiosks, carts, and trucks in NY, MA, and NJ. At least they each have trucks in their history, although it makes for a confusing name, what with their not being trucks. The We Buy White Albums project, earlier this year from Rutherford Chang is pretty fascinating. Chang has collected over 650 first-pressings of the Beatles’ White Album. He considers the serialized first-press, an edition running in excess of 3 million, to be the ultimate collector’s item, and aims to amass as many copies as possible. Over the course of his Session, Chang will create an archive, listening library, and anti-store to house and grow his collection of the Beatles’ iconic record. I like how he’s taken a precious object that is also a ubiquitous commodity and created a very traditional experience that highlights both aspects. As archaic as the original object is, it has managed to hold onto a good chunk of it’s (non-monetary) value over the decades (writing as someone who doesn’t own, has never owned, and will likely never own the White Album). 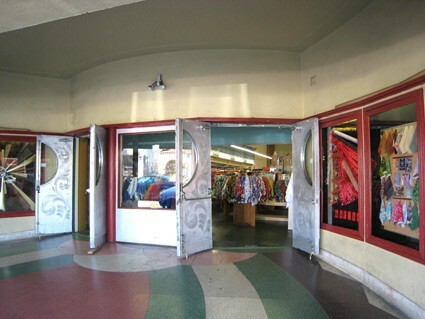 It’s a somewhat retro-futurist idea, that we have retail set up to deal with one item and one item only, decades later. And more generally retro, asking what album in the last two decades could you imagine doing this with thirty years hence? Is the White Album relatively unique in being the touchstone it represents? The way we produce, market and consume pop culture has changed. What would Chang do in 2043? Since Johnny Holland has said farewell, we’ll be continuing this series here on All This ChittahChattah. Here’s some stories and observations that Beth and Steve have assembled over the past few weeks. Store manager: Why do you think we’re not getting any business? Clerk: Maybe people don’t know we’re open? Store manager: But we’ve been open for weeks! Store manager: But, it’s a store…I mean…the door is open…lights are on…we’re in here! More pictures from my trip to Dublin for tbe IxDA Student Design Challenge. Also see Part 1. There is a chain called TJ Hughes in parts of Europe, so they swapped out the J for a K in order to prevent confusion. The classic, interpreted two ways. [from steve_portigal] A Morose and Downbeat Woman is My Co-Pilot [Boing Boing] – [Nass and Yen on Boing Boing talking about their body of research, of which we've long been fans, around the social behaviors that emerge in our interactions with technology. Back in the day, their research was under the branding Computers are Social Actors, but this latest offering seems to be positioned a bit more broadly in focus and in appeal] In my new book, The Man Who Lied to His Laptop: What Machines Teach Us about Human Relationships, I describe almost one hundred rules for social behavior that can be derived from experimental studies of how people use technology and that can make people more likeable, effective, and persuasive. The current study gives us two principles to guide interactions with people (as well as technology): telling upset people to "look at the bright side of life" can be off-putting, and "misery loves miserable company." [from steve_portigal] There is a Horse in the Apple Store [Frank Chimero] – [A lovely story that delivers on so many levels, from pure observational humor to an insightful treatise on how we engage – or not – with the world] THERE IS A LITTLE PONY IN THE APPLE STORE. What the hell? A beautiful little pony, with a flowing mane, the likes of which my sister would have killed to get for Christmas when she was 7 or 8. And, NOONE is looking at this thing. I wondered: if there were kids in the Apple Store, would they notice? “Yes,” I say. “Yes, they would.” Kids have a magnetic connection to animals. But there are no children in the Apple Store, for the same reason you would not see a child in a jewelry store: things are small and fragile and expensive and shiny. And if you have a child, you probably can not afford Apple products. But, if a child were here, they would see the pony, because when you’re a kid, you notice everything, because everything is new. 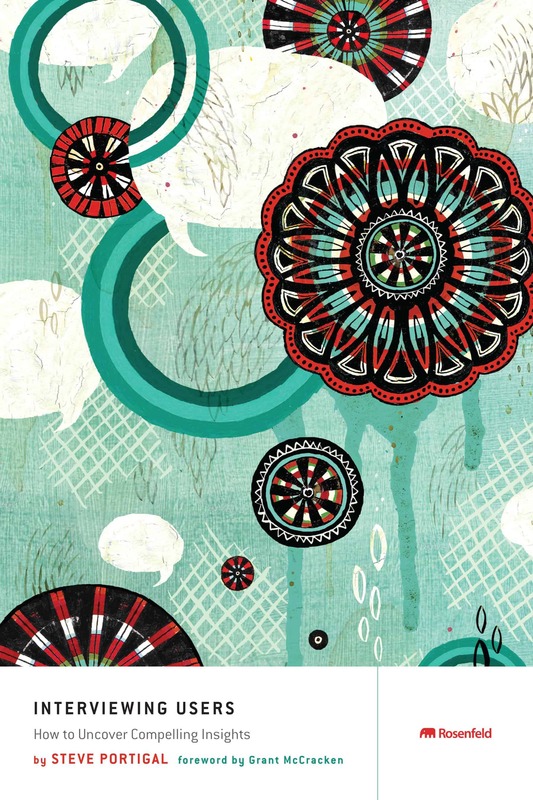 [from steve_portigal] Does Your Language Shape How You Think? [NYTimes.com] – [Some of the latest thinking on this evolving exploration] French and Spanish speakers were asked to assign human voices to various objects in a cartoon. When French speakers saw a picture of a fork (la fourchette), most of them wanted it to speak in a woman’s voice, but Spanish speakers, for whom el tenedor is masculine, preferred a gravelly male voice for it. More recently, psychologists have even shown that “gendered languages” imprint gender traits for objects so strongly in the mind that these associations obstruct speakers’ ability to commit information to memory. [from julienorvaisas] Shoppers videotape their ‘haul’ [San Jose Mercury News] – [Head-slapping superficiality, scandals, self-reflection, spoofs and thousands of subscribers define the world of haul video mavens. Haul videos are defined by one hauler herself as, "videos about crap I bought." Solid gold for marketers.] These young women, and thousands more, are cranking out "haul" videos — as in, "here's all the stuff I hauled home from Forever 21 and the Walgreen's makeup department" — and inviting friends and strangers alike to check out their latest purchases. The videos, which range from oddly captivating to crashingly dull, represent yet another way in which the Internet is both nurturing new communities and redefining retail. [from steve_portigal] Ont. parents suspect Wi-Fi making kids sick [CBC.ca] – ["Proving" something is causing health problems is tough; but our willingness to believe with full certainty is powerful. We see this perception as a barrier to adoption in many categories of products and services.] A group of central Ontario parents is demanding their children's schools turn off wireless internet before they head back to school next month, fearing the technology is making the kids sick. Some parents in the Barrie, Ont., area say their children are showing a host of symptoms, ranging from headaches to dizziness and nausea and even racing heart rates. They believe the Wi-Fi setup in their kids' elementary schools may be the problem. The symptoms, which also include memory loss, trouble concentrating, skin rashes, hyperactivity, night sweats and insomnia, have been reported in 14 Ontario schools in Barrie, Bradford, Collingwood, Orillia and Wasaga Beach since the board decided to go wireless, Palmer said. "These kids are getting sick at school but not at home," he said. [from steve_portigal] Budgets Tight, School Supply Lists Go Beyond Glue Sticks [NYTimes.com] – [A cultural reframe moment; retail is there] Schools across the country are beginning the new school year with shrinking budgets and outsize demands for basic supplies. On the list for pre-kindergartners at McClendon Elementary in Nevada, TX. : a package of cotton balls, two containers of facial tissue, rolls of paper towels, sheaves of manila and construction paper, and a package of paper sandwich bags.Retailers are rushing to cash in by expanding the back-to-school category like never before.Now some back-to-school aisles are almost becoming janitorial-supply destinations as multipacks of paper towels, cleaning spray and hand sanitizer are crammed alongside pens, notepads and backpacks. OfficeMax is featuring items like Clorox wipes in its school displays and is running two-for-one specials on cleaners like gum remover and disinfectant spray. Office Depot has added paper towels and hand sanitizer to its back-to-school aisles. Staples’ school fliers show reams of copy paper on sale. [from steve_portigal] Skill Building for Design Innovators (from CHIFOO) [All This ChittahChattah] – Steve will take a look at some fundamental skills that underlie the creation and launch of innovative goods and services. He will discuss the personal skills that he considers to be “the muscles of innovators” and the ways you can build these important muscles, including noticing, understanding cultural context, maintaining exposure to pop culture, synthesizing, drawing, wordsmithing, listening, and prototyping. [from steve_portigal] An interview with Eric Ludlum of Core77 [All This ChittahChattah] – The Dutch Master project is a natural extension for Core and also myself. Having gone through the industrial design program at Pratt Institute, and then founding Core77, covering industrial design, with Stu Constantine and myself always being on the outside of the industry in terms of actually participating, but then covering it, watching it from the inside. The Dutch Master, and previous to the Dutch Master, the Blu Fom shoe have been our attempts at doing some product development and design. [from steve_portigal] Announcing the Core77 Flagship Retail Store in Portland Oregon! [Core77] – [Eric Ludlum of Core77 takes some of the themes he shared with us in the recent Ambidextrous interview and pushes them further with the opening of a Core77 retail space. I was surprised to visit it recently and see that it wasn't a curated museum store, but instead a 'Hand-Eye Supply' outlet] If there is a poster-boy, a hero, of Hand-Eye Design, it is Bucky Fuller. Who practiced sustainability, who advocated design-thinking, who studied the needs of the human being, but who understood these as parts of the whole enterprise of doing. He is the guy who, as good designers do, kept all that in his head and in his heart and used it as he MADE THINGS -not for the sake of self-expression or commercialism but because they had to be done. And that work was not birthed effortlessly from within but dragged out of the world in handfuls, built-up slowly into something meaningful through sketches and prototypes, mock-ups and fabrication. That is the design philosophy of Core77's Hand-Eye Supply. This Vodafone retail outlet took advantage of the construction going on outside their storefront by decorating the fence with Vodafone-logo balloons. The net effect of this simple change is fun and celebratory. Texting in Meetings – It Means ‘I Don’t Care’ [NYTimes.com] – For more than a decade, my colleagues and I have gathered data on incivility from more than 9,000 managers and workers across the United States, and we’re continuing this work internationally. We have learned a great deal about the problem’s causes and consequences. I define incivility as behavior, seemingly inconsequential to the doer, that others perceive as inconsiderate. Electronic devices lead to more incivility because of their powerful ability to claim our attention — no matter where we are or what we’re doing. No one likes to be snubbed, of course, but the offense can take on a new edge when the winner is a machine. Google Restricts Ads for ‘Cougar’ Sites [NYTimes.com] – Last week, CougarLife.com, which was paying Google $100,000 a month to manage its advertising, was notified by the company that its ads would no longer be accepted. When notified by Google of the decision, CougarLife proposed substituting a different ad for the ones that were running, picturing older women and younger men together. Cougarlife said it would use an image of the company’s president, Claudia Opdenkelder, 39, without a man in the picture (she lives with her 25-year-old boyfriend). But the advertising department was told in an e-mail message from its Google representative that “the policy is focused particularly around the concept of ‘cougar dating’ as a whole,” and asked if the company would be open to changing “the ‘cougar’ theme/language specifically (including the domain if necessary).” CougarLife forwarded the e-mail messages to The New York Times. Google would not comment on the messages but did confirm that they were consistent with the new policy on cougar sites. Although these machines have been in Heathrow for more than 2 years, it’s still surprising every time I see one. It makes perfect sense to sell books for this use case in this way, but it’s just a bit unusual. 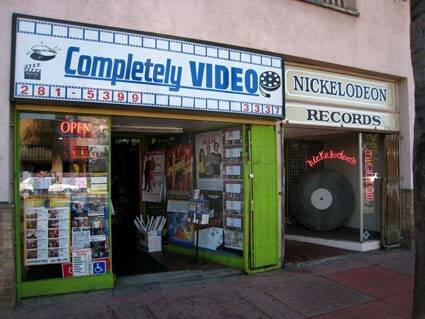 In the San Diego’s Normal Heights neighborhood, the now-odd sight of a record store and video store next to one another. 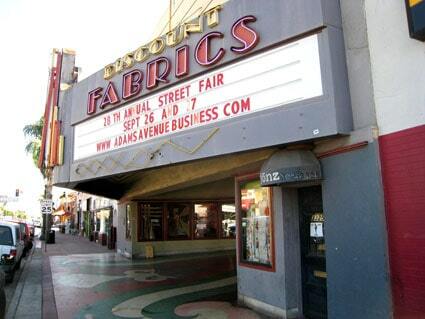 Next door, a classic movie theater has been turned into a giant fabric store. Target jumps into book price war started by Wal-Mart, Amazon – What started as a book price skirmish between Wal-Mart and Amazon.com is showing signs of becoming a much broader holiday battle. 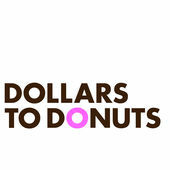 Today retail giant Target announced it is matching Wal-Mart's online price of $8.99 for top selling, soon-to-be-released titles, including "Under the Dome" by Stephen King and "Breathless" by Dean Koontz. Health Concerns Drive New Rituals (or attempts to create new rituals, top-down) – The handshake, with its potential to transfer the flu virus, should be replaced with the safer — and more contemporary — pound [aka fist bump] says the dean of medicine at the University of Calgary. "It's a nice replacement of the handshake because you can't just refuse to shake someone's hand. It's rude and seems almost un-Canadian," he said. "This is a nice, intimate gesture: a gentle bump of the fist that replaces the handshake if you get used it."